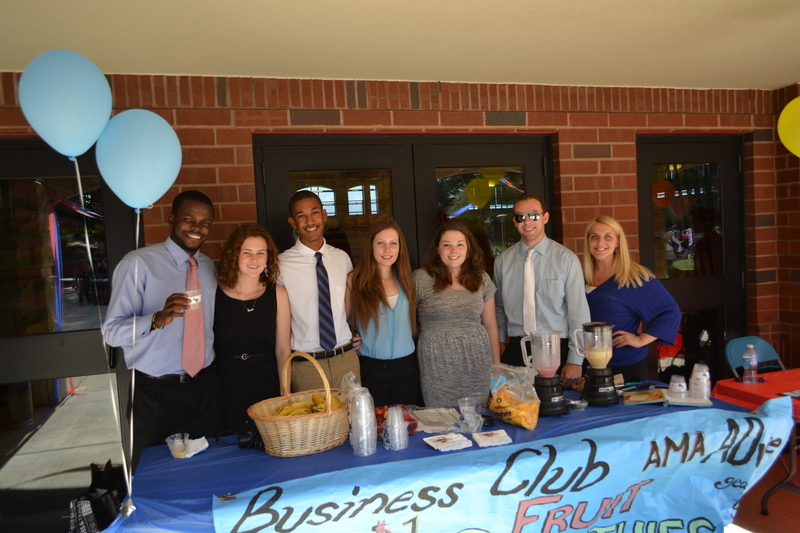 Profit | The Business Club uses the Club fair as an opportunity to practice their business skills and attract new members with some refreshing fruit smoothies. 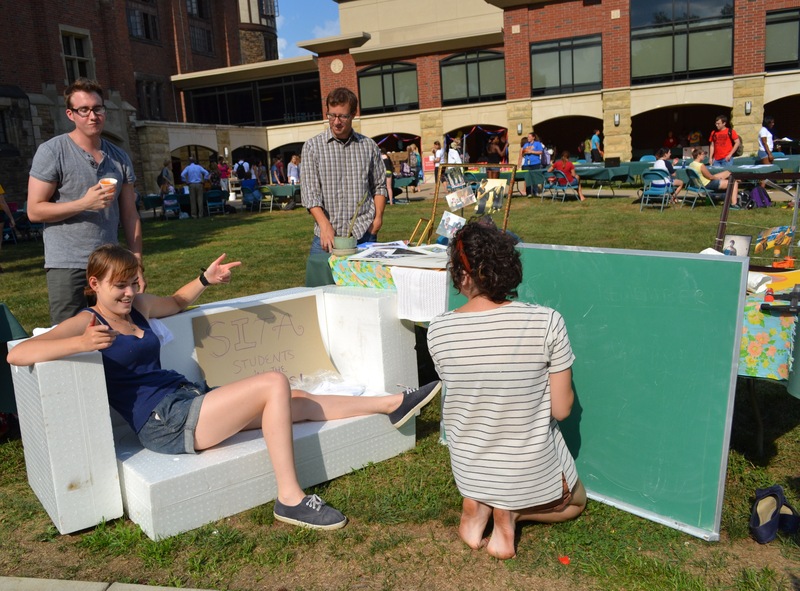 Interact | The Griffin puzzles over some information at the Rotaract’s Club table. 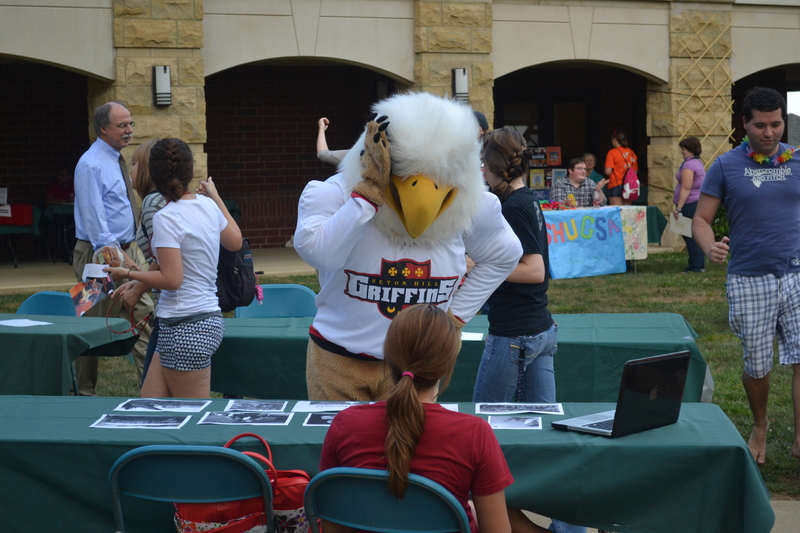 Griff wandered around the Club Fair spreading school spirit and checking out what all the clubs had to offer.